We hope you will have lots of fun coloring this Easter Disney coloring sheet for kids! Get your paintbrush and colored pencils ready and get creative. 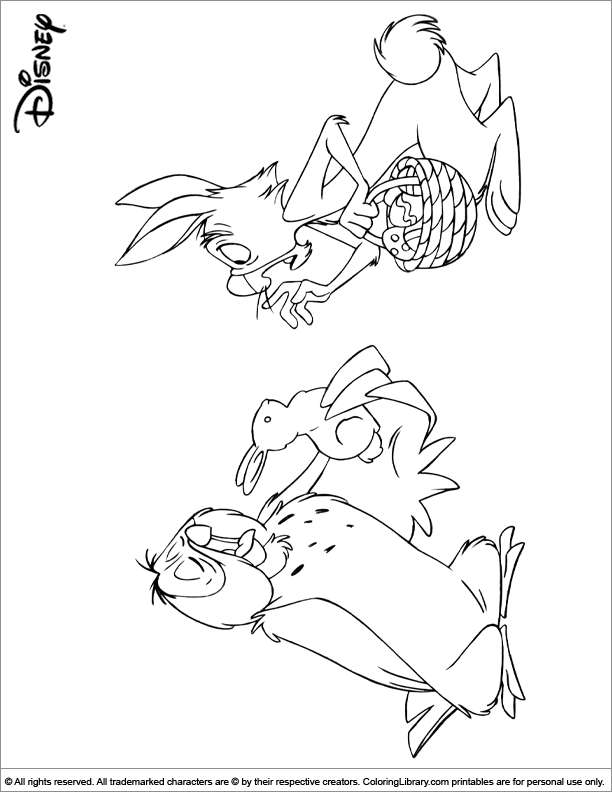 Coloring Library has selected this Easter Disney coloring sheet for kids for you! Suitable for kids from all age groups. If you are looking for more Easter Disney coloring pages the take a look at our Coloring Library.